After years of raw, dark, inky blue denim, this summer sees the emergence of what, until recently, could have been best described as Dad jeans. You may've seen a handful of stylish gents sporting them in Tommy Ton's photos from the Pitti Uomo shows in Italy. Heavily washed and lightweight, they're softer than their rigid and raw counterparts, which makes them ideal for this time of year. 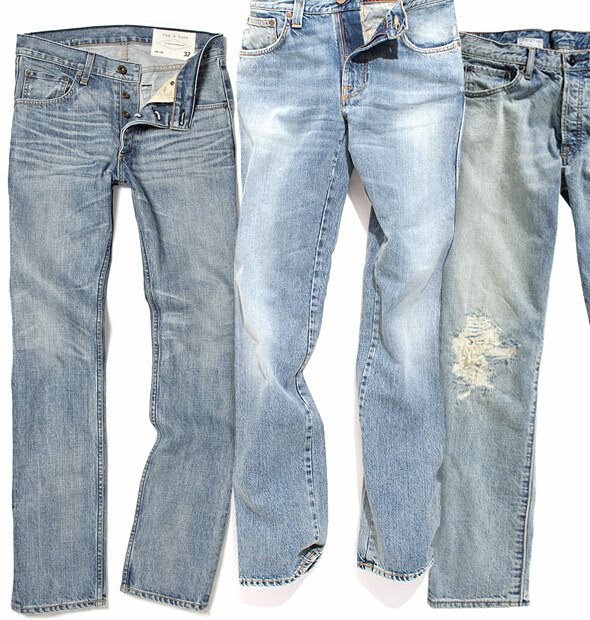 Unlike the high-waisted, stonewashed versions actual dads sport, today's versions look more like classic jeans that have been worn and washed for years. The beaten-up, worn-in nature lends a casual air that pairs nicely with your unstructured blazers and canvas kicks. Who else is making them?